A South Coast city has picked a new City Manager. The Ventura City Council selected Alex McIntyre for the vacant post. McIntyre is currently City Manager for the Northern California community of Menlo Park. Before that, he was an executive with Marin County, and two other Northern California cities. The City Council still has to officially finalize the agreement. It’s on the October 8th City Council agenda. McIntyre will fill the vacancy created by the retirement of Mark Watkins in December of 2017. He stepped down after five years on the job. A South Coast city has hired a longtime Southern California municipal executive as its interim city manager, while it looks for a permanent one. The Ventura City Council hired Don Penman to fill the post for the next six months, or less if a new city manager is ready to assumes the position. Officials with a South Coast city say they are keeping a promise they made to voters who passed a half-cent sales tax, by committing to keep a once-closed fire station open for the next two decades. 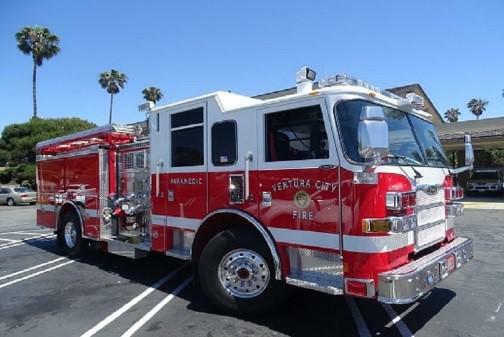 This week, the Ventura City Council committed to fully staff the city’s Fire Station Four, on Telegraph Road for the next 25 years. In 2010, city budget issues prompted the shutdown of the station. The city later received federal grants to help reopen it.